The Academic: the new indie-rock sensation that will make you feel as though you’re on a Permanent Vacation. After finishing their US tour, The Academic recently announced their new album – ‘Tales From The Backseat’ – will be released on January 12th. Their latest single ‘Permanent Vacation’ has just come out, shortly after getting themselves noticed by hosting a hypnotic livestream on Facebook. Singer and guitarist Craig has managed to find a bit of free time to talk about one of the most energetic indie-rock bands out there at the moment. 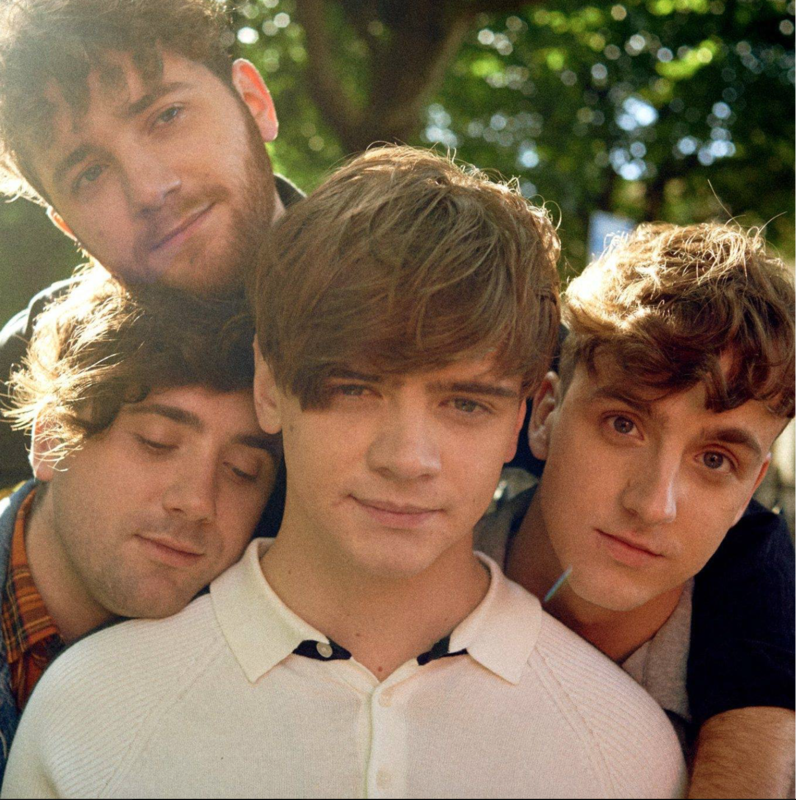 The Academic’s first track of their upcoming album was introduced to their fans onNovember 8th after Huw Stephens played it on his BBC Radio 1 show. This new song is like an energy boost that makes you want to go on a summer holiday – even though we’re in the middle of fall. For those of you who have already listened to this band, you’ll know that “energy” is their middle name. Craig, Matt, Stephen and Dean have been playing together since they were about 13 but really started to find their own style three years ago: “We put out our first EP in October2015 and it’s been pretty full on since then.” They have supported some of the greatest artists such as The Pixies and The Strokes, been nominated for Ireland’s Choice Music Prize, toured the US and Europe, and had a No.1 debut EP. Although The Academic have experienced all these great moments, there is always one that will stand out. “When we sold out a venue called Vicar Street in Dublin with only one single released, that was definitely a moment for us,” Craig says. Although they have had their own style for some time now, we can’t help but notice they have defined it a bit more in one of their latest singles, ‘Bear Claws’. A few weeks ago, they delivered an unusual performance of this track. They hosted a livestream on Facebook in which they were seen using the delay before viewers can actually watch the livestream, in a very impressive way. By adding a new instrument or vocals to each loop, they’ve managed to create a hypnotic version of their song…very remarkable. Their looping version has reached more than 1 million views on YouTube. However, Craig says that for now “it’s all about our debut album that we have coming out in early 2018.” Considering the fact they’ve thought of something as creative as their Facebook livestream, who knows what they’ve got in store for us next? Looking back at their worst experience encountered so far, the singer points out a particular moment: Reading Festival. This is surprising as this is usually one of the best moments in an artist’s career. “It was the last stop after a run of European Festivals and our van broke down just as we arrived on site,” explains Craig. “The AA came and we were told it wouldn’t be back on the road for at least a day.” In the end, the band had to tow the van all the way back to Holyhead in Wales to get the ferry back to Dublin. “Let’s just say it was an emotional journey sitting up front with that tow truck driver and the rest of the band!” laughs Craig. The band have also made it to Spotify’s “Hot New Bands” playlist, which selects some of the greatest new groups out there. They are unsurprisingly overwhelmed to be part of this platform, which has over 140 million active users. “Spotify have played a huge part in our development,” states Craig. The full-of-life Irish lads certainly have a lot in store for us, and we can’t wait to hear their new album.